I'm always on the lookout for comfortable and stylish travel shoes. I love shoes so every year I purchase and travel with several new pairs. 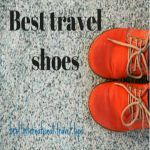 Are you searching for a fabulous pair of travel shoes? I think you will like our choices. 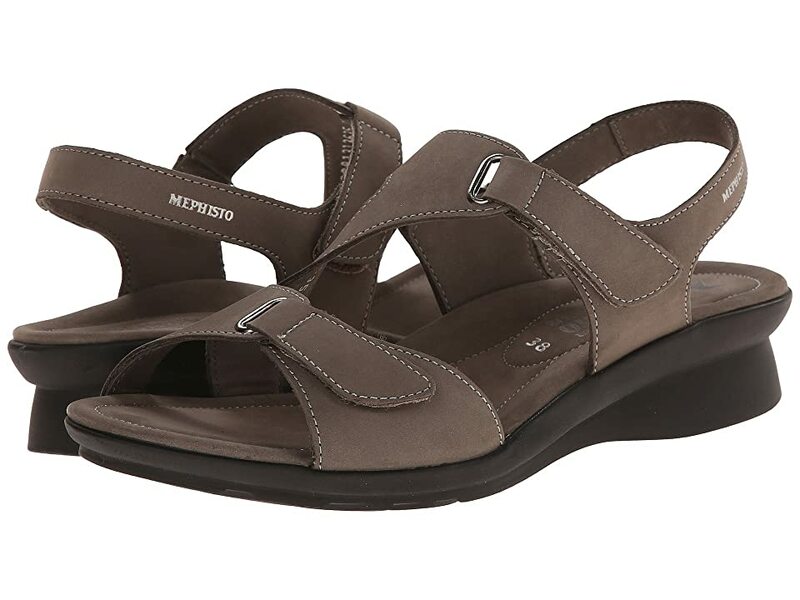 The Mephisto Paris women's sandal is my absolute favorite this year. I don't recommend doing this, but I wore this shoe right out of the box and had no trouble with it. I was on the lookout for a sandal that would look nice for going out to dinner but with my feet problems I was beginning to think it was impossible. Not only did I feel dressy at dinning, I even wore them shopping. I got many good compliments. 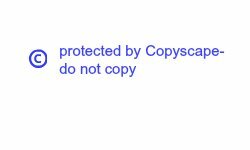 This brand is one of my favorites, and they take a long time to wear out. I get them repaired when necessary, so they are well worth the investment. I still have my first pair. The temps are getting warmer it's time to boast a sunburst of color with your paradise pretty wardrobe with the Paris sandal from Mephisto. Bucksoft leather upper with double adjustable straps for a comfortable fit. Soft leather lining feels great against the foot. Leather-covered Air-Jet cushioned insole for breathability. Durable rubber outsole. Imported. Measurements: Heel Height: 1 1 2 in Weight: 9 oz Platform Height: 1 2 in Product measurements were taken using size 38 (US Women's 8) width B - Medium. Please note that measurements may vary by size. Weight of footwear is based on a single item not a pair. The Flexi brand brand is a favorite of two of my sisters. One of my sisters even wears hers to work also though she is on her feet a lot. I tried a boat shoe from Clarks this year and they were very cushy. The pair I purchased had no back, so I mainly walked around resorts with them. If you are concerned about slipping off your shoe, you probably should buy a pair with more support. I slipped off my flip-flop this year. Now I only use them for around the pool or hotel room. The Arla Glison is part of the Clarks Cloudsteppers Collection. Say hello to heavenly comfort! The Arla Glison is your new go-to flip for anything and everything. Textile upper. Slip-on design with gathered vamp detail. Synthetic lining. EVA molded footbed with Clarks Cushion Plus. Composition rubber outsole. Imported. Measurements: Heel Height: 1 1 2 in Weight: 7.4 oz Product measurements were taken using size 8 width B - Medium. Please note that measurements may vary by size. Weight of footwear is based on a single item not a pair. I saw lots of women wearing a slip on instead of a runner. They looked nice with leggings or jeans. A friend told me she liked them a lot as she doesn't like running shoes and found them very comfortable. I think that this will be the next pair. I also need a nice ankle boot. 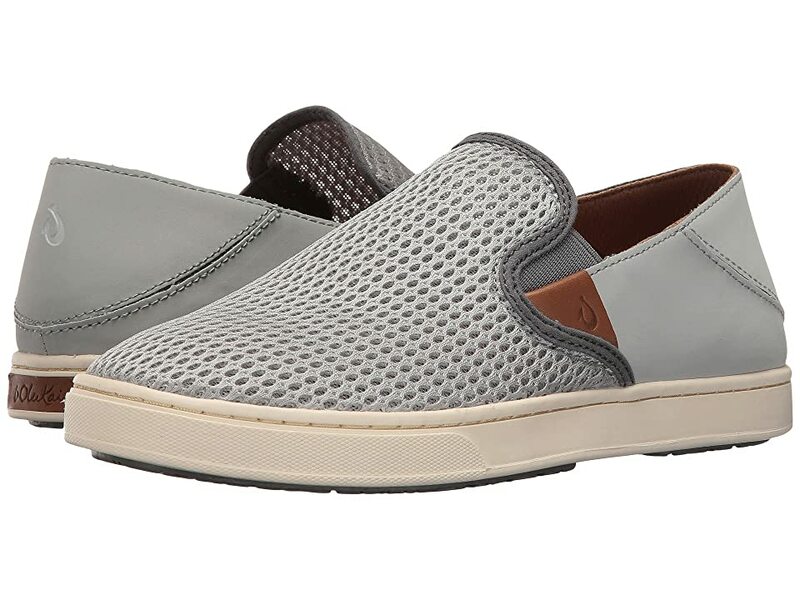 Drop in and bliss out with the casual breathable classic comfort of the OluKai Pehuea shoe! Versatile Drop-In Heel offers both shoe and slide functionality for effortless island living. Dual-density PU anatomical footbed. Durable chassis provides heel stability and arch support. 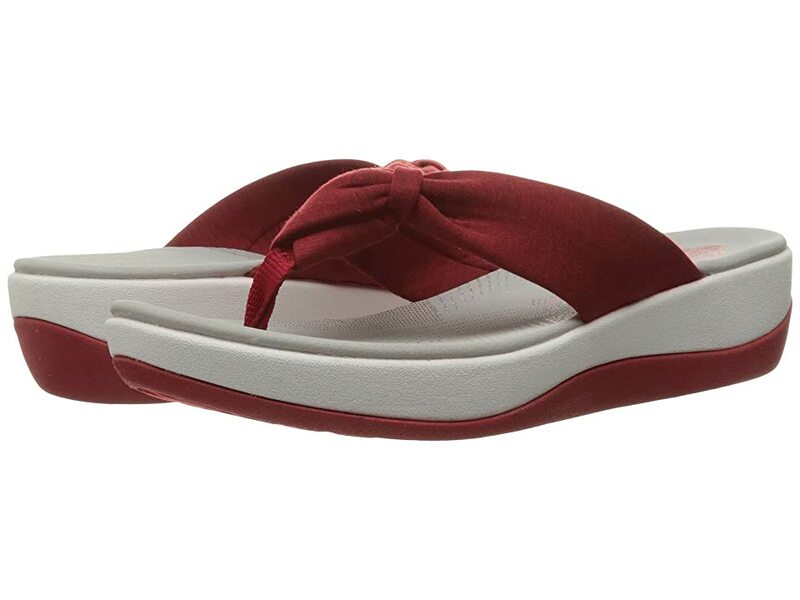 Softer top deck offers extra cushioning for step-in comfort. Footbed lined with lightweight mesh is removable and washable. Leather patch with embossed logo detailing. Non-marking rubber outsole with Polynesian-inspired artwork design. Imported. Measurements: Weight: 13 oz Product measurements were taken using size 7.5 width B - Medium. Please note that measurements may vary by size. Weight of footwear is based on a single item not a pair.